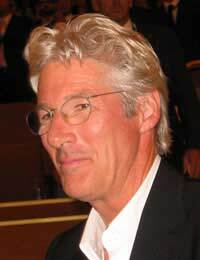 Perhaps one of the most well-known celebrities to champion the importance of inner peace and mental awareness, Richard Gere is also the well-known heart-throb of many Hollywood hits such as Pretty Woman and Chicago. A devout Buddhist and passionate advocate for human rights, Richard Gere meditates daily, claiming that it helps him set his motivation for the day. Another “music great”- Herbie Hancock is a jazz household name and open of the most revered contributors to modern jazz, often having collaborated with the legendary Miles Davis. Herbie practises a form of meditation with a heavy emphasis on chanting. He turned to meditation after seeing its affect on the performing abilities of fellow jazz players and believes that it has played an integral part in his own artistic development. He credits meditation as enabling him to explore outside his comfort zone and find the courage to try new things. This handsome star of films like ‘Lord of the Rings’ and ‘Pirates of the Carribean’ credits meditation and the philosophies behind it as helping him keep away from the self-destructive path that is so common in Hollywood. He follows a practical approach to meditation and incorporating meditation into his daily life so that it strengthens him, as well as helping him find peace. So if you’re looking for inspiration, you could do worse than to follow the footsteps of these celebrities who have all found meditation to help enormously in their eventful lives.